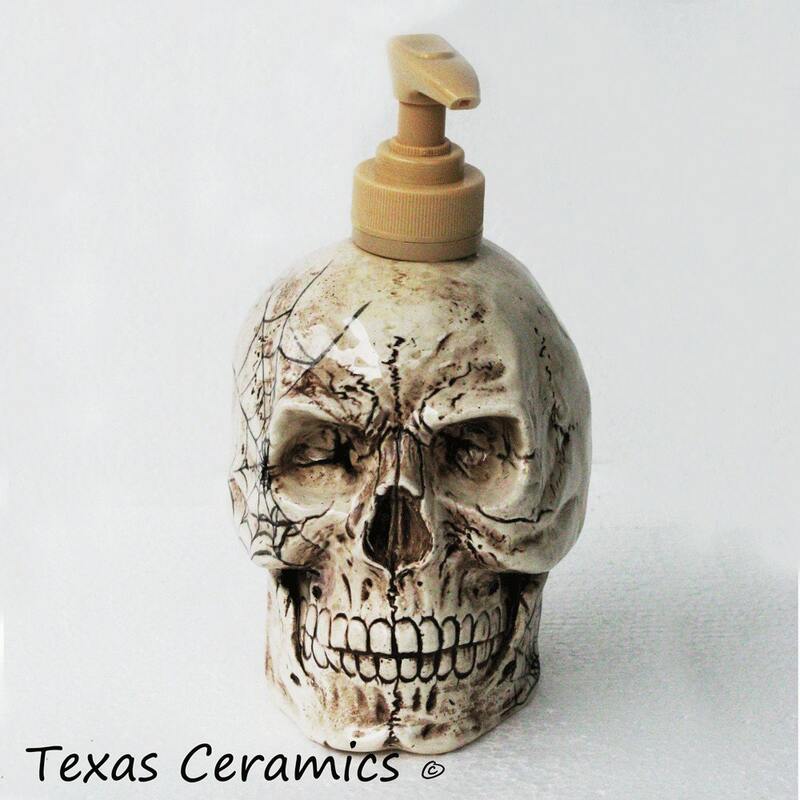 This aged looking ceramic skull with cobwebs is designed to be used as a pump dispenser bottle for lotion or liquid soap. This hauntingly looking skull pump dispenser can also hold hand sanitizer, its a great motivator to get kids to wash their hands. This ceramic skull with hand painted spiderwebs is ideal for Halloween or paranormal decorating - especially at work! or to add a little creepiness to any area of the home or office. • 4 inches in diameter at the widest point. The spider cobweb designs are permanent and will never wash off or change. A tan plastic pump is included, attached to the top of the skull is a threaded collar, it is secured with strong epoxy adhesive. 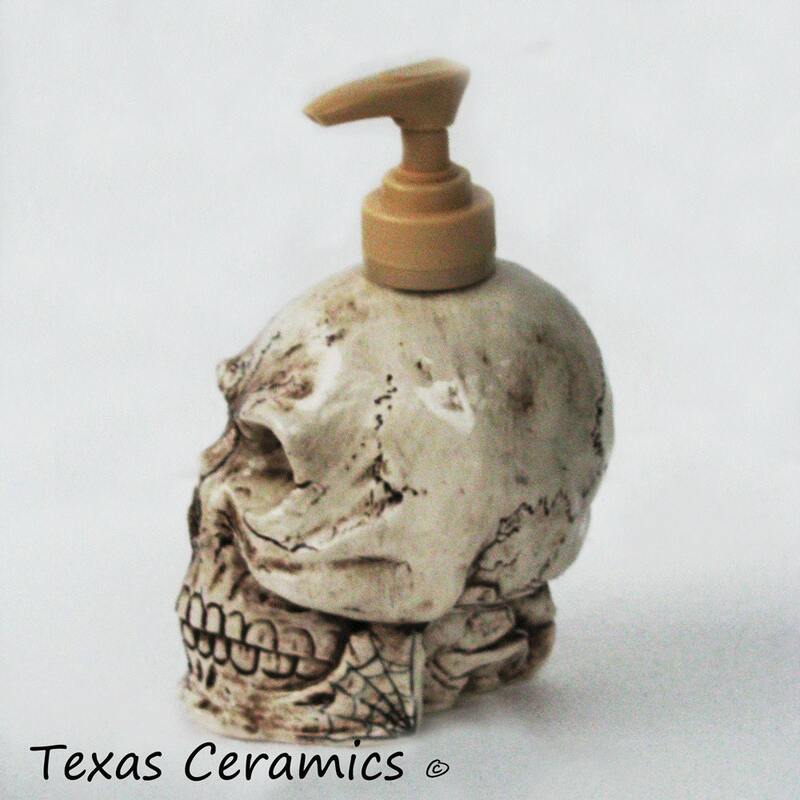 The skull pump dispenser is made of ceramic earthenware, it is slip cast from a ceramic mold and altered before being kiln fired. This skull is finished in a gloss glaze I hand paint cobwebs on the skull giving it a really creep look. The glaze used is non-toxic, the skull is also glazed inside sealing the entire piece for added life. 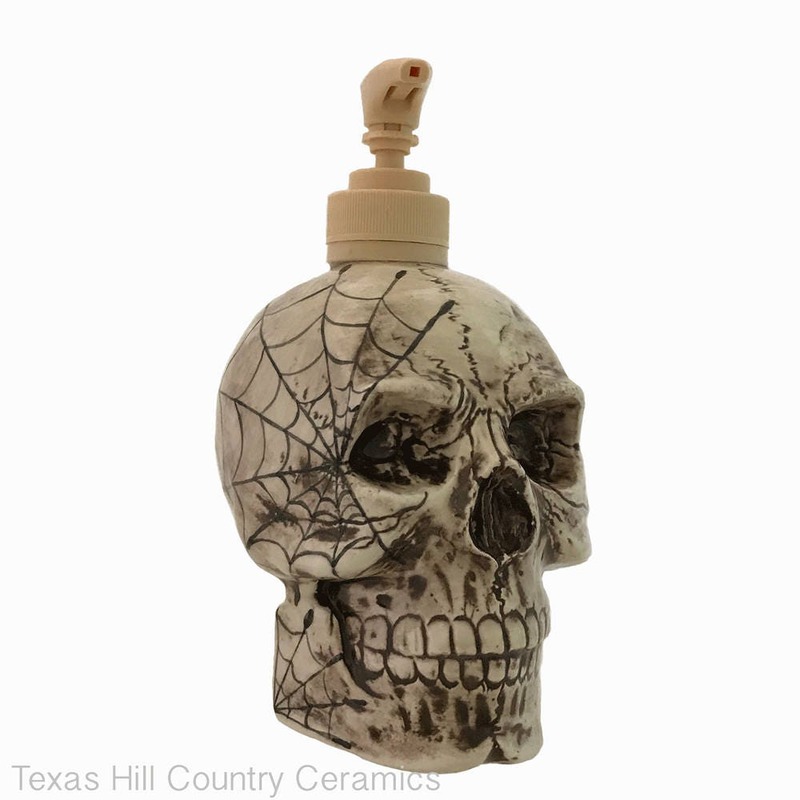 Each ceramic skull pump dispensers is made of the best materials available and is made in my shop located in Central Texas. I use many techniques and non-toxic glazes to achieve the final piece you see. This unique dispenser is made to last many years. A very nicely crafted piece. Carefully packaged and shipped quickly. I highly recommend Texas Ceramics.